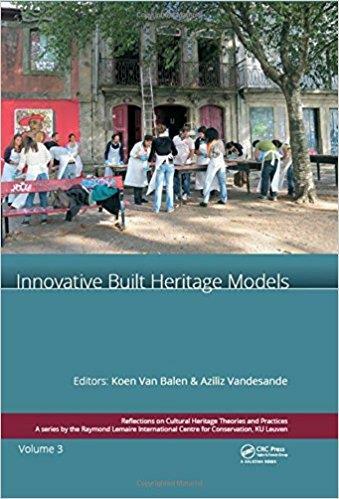 Innovative Built Heritage Models: Edited contributions to the International Conference | Free eBooks Download - EBOOKEE! Posted on 2018-05-19, by perica123. Several international and European institutions have given increasing importance to sustainable approaches to our existing building stock and the role of built heritage in this process. At the same time, preventive and planned conservation of built heritage has been increasingly recognised by researchers given its cost-effectiveness for owner-managers, effective long-term quality protection and environmental enhancement of structures, as well as its potential of activating heritage in the employment sector and empowering of local communities. 'Innovative Built Heritage Models' collects the lectures presented at the international conference on CHANGES (2017 Thematic Week, Leuven, Belgium, 6-8 February 2017). The aim of the conference was to provide an international overview of the existing strategies, processes and operational case studies that support the implementation of a preventive and planned conservation approach in the built heritage sector. The conference twins with the 'CHANGES' project, supported by the Joint Programming Initiative Heritage Plus programme. This publication meets the increasing demand for shared information to support the transition towards a more sustainable conservation process. The volume consists of three main parts: 'The CHANGES paradigm', 'Preventive and planned conservation' and 'Case studies of Change'. The book reflects on CHANGES in a straightforward manner by providing research and case studies that serve as baseline records, guidance and essential literature for researchers and practitioners involved in the built heritage sector. No comments for "Innovative Built Heritage Models: Edited contributions to the International Conference".